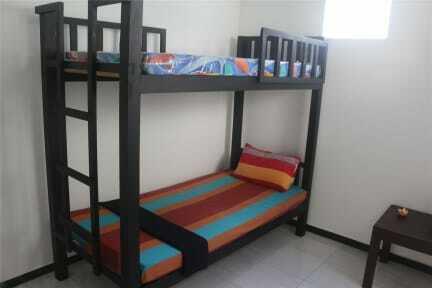 Jungle Hostel Villa provide full breakfast service every morning and also lunch and dinner. There is coffee machine and tea brew pot in the kitchen for use. There is different kinds of birds, Monkey, Lizard, Weasel and Squirrel out there in the front Jungle. 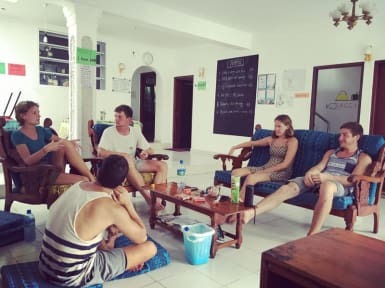 The night life finish early in Sri Lanka, but at Jungle Hostel Villa we have events for every weekend, food teaching lesson, BBQ party and some outgoing events. This is a very nice spot with an a super friendly/helpfull owner. The location is very close to the beach and great for surfing.